Welcome to part five in a multi-part series meant to entertain and astonish you with the history of gaming on computers. Yes kid, there was a time when games didn't require the latest 3D accelerator cards and teams of designers. All it took was access to a computer, a little knowledge, and a little "hacker" spirit to get going and do it your self. Back in the early 60's while the MIT hackers were busy working on thing like Spacewar and helping in the development of timesharing systems, there were others hard at work in similar endeavors as well. At the University of Illinois at Urbana-Champaign (UIUC), work was being done on creating a mainframe based timesharing system of a different sort. The idea was to support Professor Don Bitzer's research in a relatively new field called Computer Assisted Instruction (CAI). In 1960 it became apparent to me and others that the school systems, in the larger inner-city schools, were turning out students that were likely to be functionally illiterate in our society. And I was very interested in knowing if it was possible for using our new upcoming computer technology for helping solve this problem. To support this end, the Computer Education Research Laboratory (CERL) was founded in 1958 to provide a location for the research to proceed. By April of 1961, the patent for the first system was filed and entitled "Automated Teaching Machine (PLATO)". Conceived by physics professor Charles Sherwin, it was proposed as a multi-user teaching and exploration environment. 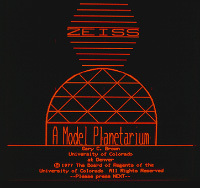 Initially starting as a single user system under the supervision of Don Bitzer, by late '61 expansion to a timesharing system (PLATO II) was begun. The resulting Iliac system had about as much power as today's digital watches, but was more than adequate for the job. As the PLATO project began to take on a life, it became a hotbed for academic research on using computers for educational instruction. Programs and environments were being developed to explore various possibilities for training professionals of many different occupations. 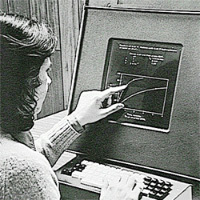 With papers such as "Self-directed Inquiry in Clinical Nursing Instruction by Means of the PLATO Computer-Controlled Simulated Laboratory." To write the software, he collected a staff of creative eccentrics ranging from university professors to high school students, few of whom had any computer background. Together they built a system that was at least a decade ahead of its time in many ways. More than 300 programs were authored between 1961 and 1967, spanning from foreign language acquisition, math, science, and music to engineering and nursing for elementary, secondary, higher education, and workplace education ( Mihye Won ). And as the programs and amount of terminals grew, so did the hardware with the PLATO IV system going in to development by 1968. Probably the most important development in hardware was one that continues to be generate revenue for the University to this day: the plasma display. The display was invented through the research efforts of Donald Bitzer and Gene Slottow in 1964. It had been decided to move PLATO to a more graphically interactive system. The first PLATO terminals were US$10 TV sets wired into a 16-key keyboard used for the Naval Tactical Defense System. The television connections were controlled by the mainframe using cable television. An expensive process to be sure. To add to this, the more easily mass produced CRT tube based terminal displays could not handle high resolution graphics (which is why those in use at the time were text based terminals). They also suffered from a constant need to refresh the screen by rescanning, because the screen had no "memory" or way for the phosphors in a CRT to stay lit. This rescanning is what causes flickering in the picture, and consequently headaches and eyestrain. Because it uses a constantly scanning beam to light phosphors, the CRT also has the added problem of "bleeding" or unclear edges (definition) on all items displayed on the screen. And last but not least, the CRT's were limited to a 120 degree viewing angle, not always the best when talking about a classroom full of students who may need to see a display. The solution they decided, was to come up with a new display method. Use of plasma (charged gaseous particles) displays had been experimented with dating back to the 1920's. They decided this was the route to go however, and would alleviate a lot of the problems. We actually figured out how to make these screens in about 15 minutes while waiting for our wives to come pick us up. The memory was in the (plasma display) panel itself. And therefore, you could just send changes to the panel over a much lower bandwidth, and support the image remotely. The plasma display panel they came up with used a neon gas base. 1,024 fine electric wires were set together in a 512 x 512 array. When an electrical signal is sent to one of these intersections, it heats the neon gas, which glows orange, forming a dot (pixel) on the black screen. The dots are then used to form the images (letters and designs for example) on the screen. This method had the advantage of increasing the contrast and overall brightness of the item being displayed (a lower case letter of 8 dots high and 3 to 8 dots wide - character only one-eighth of an inch high - was legible from as far as six feet away). The creation was to have a lasting impact, and has led to High Definition TV and DVD technologies. In modern plasma based systems, three cells - one red, one blue and one green- combine to produce one pixel. Different intensities of the three primary colors blend to create more than 16 million different colors. Modern plasma displays (most use a xenon gas base now) are considered high end displays because of their quality and cost and are most often seen in wide screen, flat panel displays. A modern 50 inch plasma based display can be only 4 inches thick and weigh 100 pounds. A comparable CRT display would weigh 600 pounds and would need an electron gun several feel long. Compared to the TFT (LCD based) displays in use now as well, the plasma based display has the advantages of a brighter picture, wider viewing angle (160 degrees), better color purity, and a higher contrast ratio. The true impact on television and multi-media displays is first being felt now as the cost of mass producing plasma based sets is dramatically decreasing. 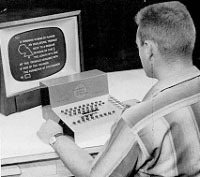 A student on one of the first versions of the PLATO terminal. However, back in 1966 (when they duo first went public with their invention) the impact was more immediate on PLATO. The new terminals being developed used a 9x9 orange on black display screen and a standard keyboard. The user would type on the keyboard (usually after seeing a question) which would then transmit the input to the mainframe. The mainframe in turn would process the input and send the plasma display instructions over the same connections (which in later years would be phone lines). This method of immediate control over the display of graphics and text based over direct interaction with the user became a powerful and much needed feature for this type of educational system. It also provided an alternative to the soon to be developed Arpanet/Internet. With the Internet, you can get the access costs down fairly low. But the problem is that the random delay times and response makes it not very interactive. A student using the touch sensitive PLATO IV terminal. By the early 1970's) the PLATO IV terminal would incorporate touch sensitive screens that would allow you to interact with the onscreen data in a manner similar to a mouse - literally allowing you to drag and move objects on screen. However, it was the network of terminals centered around one centralized computer that provided the development of some of PLATO's more lasting legacies.